Here's a map of the place. Be aware that Jarki's office is now vacant. We refer to it as the "Sexpit." Also, L's office is now called "Wesker's office." Obedience breeds discipline. Discipline breeds unity. Unity breeds power. I will take a spare office. And we should try to figure out how to start putting a giant condom over the pool to prevent further infection. Uhhh didn't Z have Blaze's avatar at one time? shame on all of you for lack of tradition. But.. Churros are superior in every way! The tv show was the most like the book, movies were good but nothing like book. what's with you people and cats?! You will be stalked as soon as I find the time. 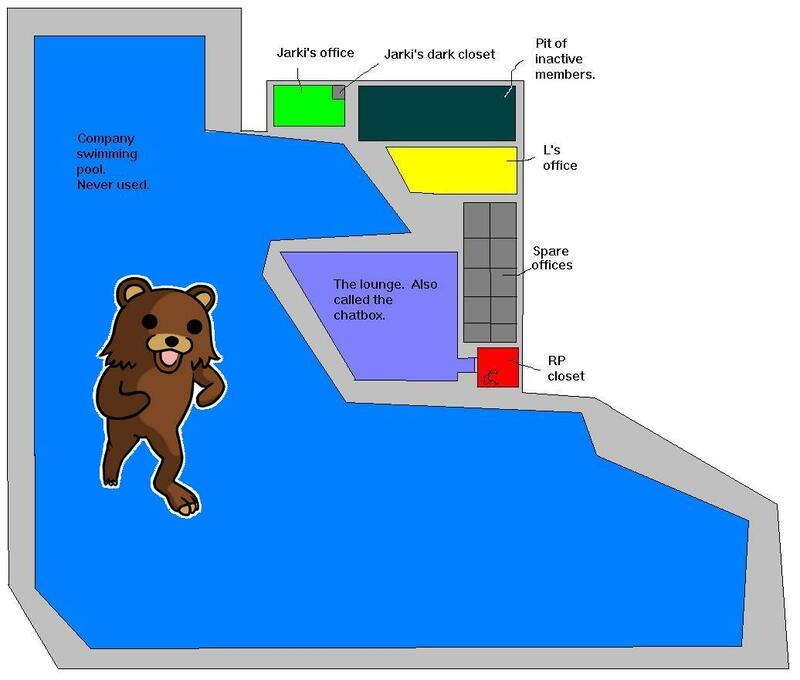 Meanwhile, you should probably peruse this map of headquarters. You must be lost. This is my introduction and you posted yours here. Don't be too hard on him, he's new. It will only take a simple move to get his own topic. Edit: Done. I can understand his misunderstanding, some clans have a mass intro thread that you just post in. We prefer individual threads. Plus, why did you bump your intro? My apologies for sounding angry or so.